HDFC Walkin Drive in Mumbai for freshers On 9th and 10th May 2014. 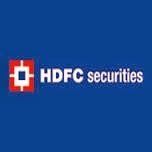 HDFC Job Openings in Mumbai For Freshers. HDFC Job Openings for Tele Broking Executive, Tele Servicing Executive Positions. Interested and eligible candidates can directly walkin to below mentioned address. Candidates having NCFM certification will be given preference. Customer on boarding and product knowledge imparting. You can also bring your friends along as we have multiple vacancies. Candidates who have appeared for an interview with us in the last 6 months kindly need not apply.